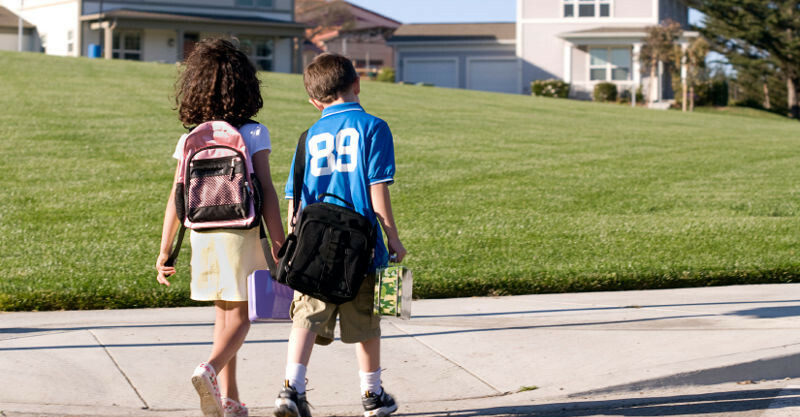 An Australian-first study has revealed how being near the right school can add big dollars to the price of your house. The snapshot shows the growth rate of property prices in government school catchment zones. So how much extra is your house likely to be worth? Come see. Nationally, NSW is top of the pops when it comes to primary school catchment zones with the highest rate of property price growth. And the story is much the same for high school zones. Melbourne school teacher and mum Laura Collins says parents are going to incredible lengths to get children get into their government school of choice. “It’s definitely a highly competitive environment. As more families move to areas around good schools, it becomes even harder to get children in due to the school capacity limits,” she says. If you’re keen to see how your area is faring, here’s a breakdown of which school zones add more bang to your property buck in your capital city.